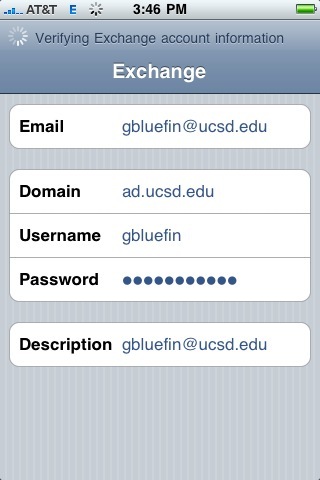 Follow these steps to set up iPhone/ iTouch/ iPad 6.x – 7.x Mail to access your UCSD Exchange email account. An Active Directory (AD) username and password. 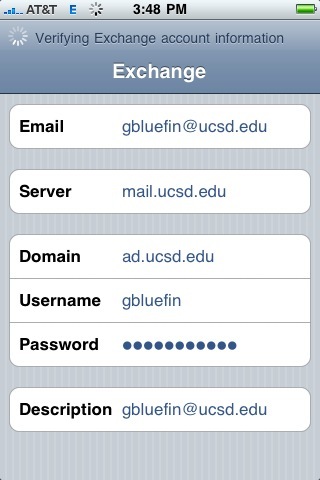 Your username is usually the first part of your UCSD e-mail address before the @ symbol. If you forgot your password, reset it. 1. Set up an email account using Mail. Select Mail from the main window. 2. Select the account type. Enter your UCSD email address in the Email field. Enter ad.ucsd.edu in the Domain field as shown in the image. Enter your Active Directory (AD) username in the Username field. Enter your AD password in the Password field. Enter your UCSD email address in the Description field. 4. Enter your Exchange server. Enter mail.ucsd.edu in the Server field if you use the central Exchange server. Contact your system administrator if your department uses a different server. 5. Select which features to synchronize. Select the features to synchronize with your Exchange account. Once you've made your choices, you will go directly to the next screen. 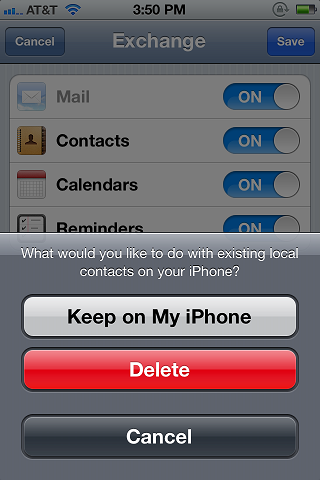 Select whether to keep or delete your existing contacts. Click Save. 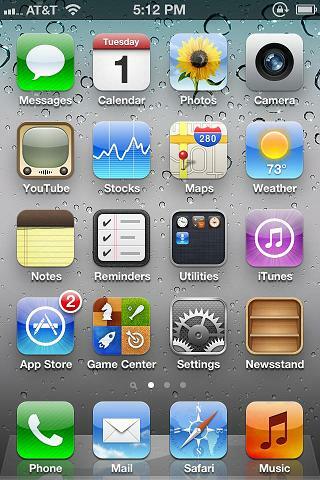 Your iPhone/iPad will begin to sync.